This is a wonderful perennial plant. It flowers eight months of the year starting in January, and has a beautiful strong Vanilla fragrance. 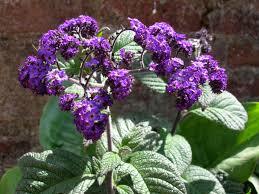 It is a hardy, woody plant that originates from Peru. When it flowers they are tiny purple trumpets in clusters.